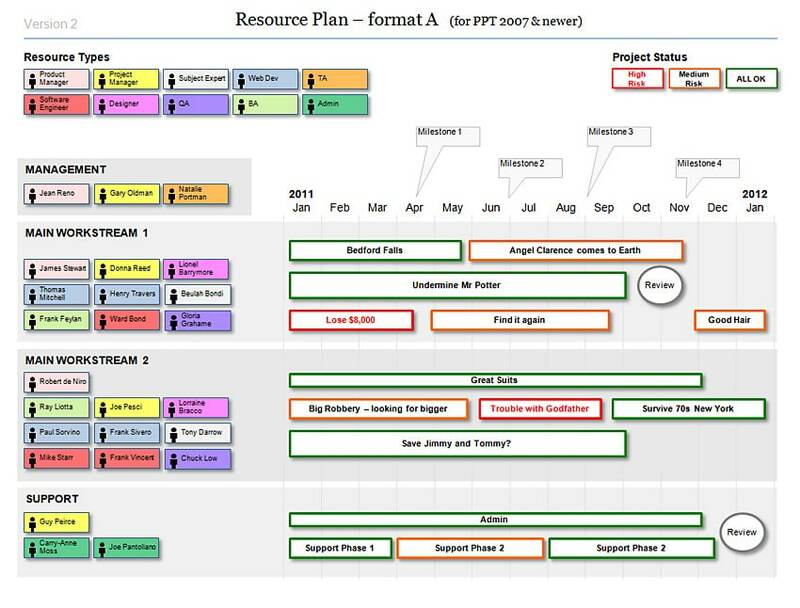 Agile Resource Planning - build your workstreams! The Powerpoint Resource Plan shows resource types, workstreams, timeline, milestones and named individuals within each workstream. Resource Planning document formats enable you to form and communicate your resource plans. Particularly with agile workstreams, you will want to assign a workstream team, and support them in working to the product backlog. This screenshot shows the Powerpoint Resource Plan Template.